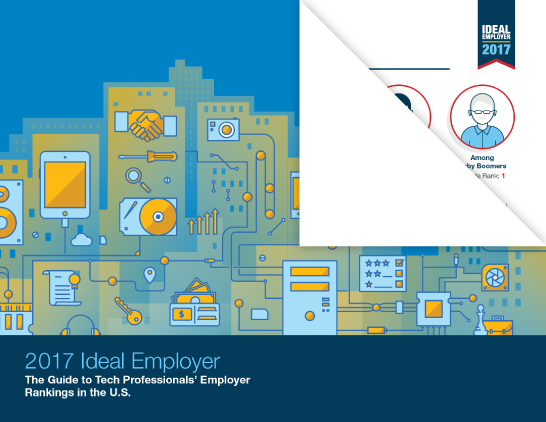 The Guide to Tech Professionals' Employer Rankings in the U.S.
No matter the size of your organization, it’s important to know the traits candidates value most in an employer. Dice surveyed more than 5,000 tech professionals to understand who they want to work for and why. Their responses allowed us to explore the professional, demographic and psychographic nuances that power pros' opinions about the workplace – like how their interests differ by gender and age. Fill out the form to download Dice’s Ideal Employer Report to get the inside scoop – and start weaving these important attributes into your candidate outreach. It could make a huge difference when it comes to engaging top talent in this ultra-competitive marketplace.